First thank you to Connie & Bob Redhead for allowing this boy to come to us. He has been shown with 4 Puppy In Groups and 1 Puppy in Show. 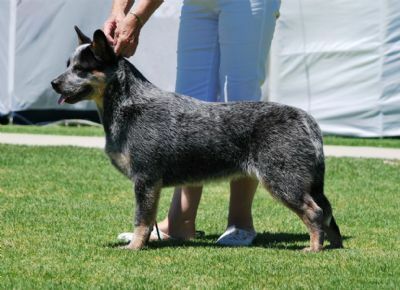 Reserve Challenge Dog and R/U BOB at Adelaide Royal to his sire. No plans at the moment to show him here.